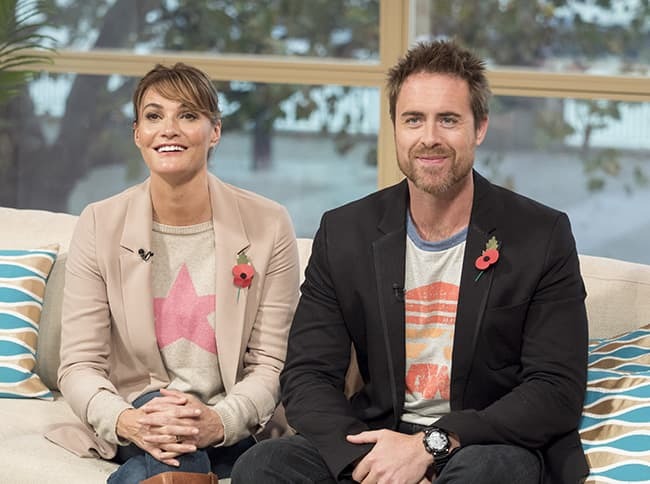 Many English film and television fans would know Sarah Parish as she has appeared in plenty of roles in the British Film Industry and has risen to become one of the industry’s most popular personalities. Sarah Parish, unlike many other English actors and actresses, hasn’t made the move across the pond to the United States for a career in Hollywood, but she has remained in England, displaying her acting talents on television sets across the tiny island that is Great Britain. She has weathered a number of storms, including the loss of a child to build what is sure to be an admirable career at the end of her days. Learn more about Sarah Parish by reading below. Sarah Parish is one of three children born to Bill and Thelma Parish. Sarah, one of two daughters, was born on the 7th of June 1968 in Yeovil, Somerset. Sarah is not the only notable personality in her family. Her brother is John Parish, a notable musician whose work has spanned across several bands. As a child, Sarah attended Preston School before she moved on to Yeovil College. Acting has always been a strong interest of Sarah Parish and it showed since she was at the age of two, when she began to appear in local school plays, including an appearance in a pantomime in the village of Tintinhull, playing the role of a pearl. She followed this passion to adulthood where she joined the Yeovil Youth Theatre. Graduation from Yeovil College gave Sarah Parish a chance to attend Academy of Live and Recorded Arts, to further hone her skills as an actress. When her formal training as an actress came to an end at Academy of Live and Recorded Arts, Sarah Parish, starred in her first onscreen role, in a commercial for Boddingtons Bitter. The advert, which featured her as a Northern woman gave her a much-needed exposure but caused her to be cast as a Northern woman in several roles, a trend that has led many to believe that the actress is from the North West part of the country. After the advert, Sarah Parish starred in her first television role, as Linda Pincham in The Bill in 1994. After that debut on The Bill, Sarah had to wait three years before she landed another acting gig. She was cast in the 1997 show, Peak Practice as Dawn Rudge and appeared on the show from 1997 to 1999. In the 2000s, Sarah starred in shows like City Central, Brotherly Love, The Vice, Unconditional Love, and Kiss Me Kate. In 2006, she starred in an episode of the famous show, Doctor Who, playing the Empress of the Racnoss in the episode, The Runaway Bride. She also played Lady Catrina in the British TV series, Merlin in 2009. In the year 2010, Sarah continued her television career by starring in shows like Atlantis, Breathless, Monroe, and The Collection. She began to play the role of Anna Rampton in W1A, a BBC TV Comedy in 2014 and played the role until the end in 2017. In 2017, she started to appear in Bancroft, playing the character Det. Supt. Elizabeth Bancroft. Sarah Parish hasn’t featured in a lot of films but she has five under her belt which includes The Holiday and The Wedding Date. In the latter, she plays a character named TJ. Her most recent film is an Italian-British collaboration titled Medici: Masters of Florence where she played Lucrezia Tornabuoni. Although she has spent the bulk of her career in front of the camera, Sarah Parish has strived to be behind it as a producer too. She co-owns a production company, Aphra Productions with Dervla Kirwan, a fellow actress. Sarah Parish’s long television career which includes shows like Doctor Who and Merlin and her few appearances in feature-length films such as You, Me and Him has allowed her to build a decent net worth of over $5 million. Parish has had the fortune of enjoying a stable and loving relationship with her husband and fellow actor, James Murray. She has been married to the Coronation Street actor since 2007 and they gave birth to their first child, a daughter, Ella-Jayne in May 2008 but she died 8 months after her birth due to a heart defect. Her second child, Nell Murray was born in November 2009. The couple lives together in Hampshire and has been able to raise $2 million to build a Paediatric hospital in the name of their daughter, Ella-Jayne.